If you've got yourself a new Garmin Approach golf watch, it's one of the most feature-rich GPS watches money can buy. While the older Approach S1-S4 do the job of distance reporting nicely, the newer trio of the Garmin Approach S20, Approach X40 and the crazy-spec'd Approach S6 bring a host of golf features to the fore (pun intended). We've gone through the range and put together a host of tips and tricks to try and get more from your game. Annoyingly the features are far from standardised, even between the X40 and S20 – but read on for a list of features you might have missed. That feeling when you rip a drive is fantastic, but exactly how far did it go? The measure shot distance feature on Garmin golf watches is your friend. When you've struck your shot, head to the menu and choose Measure Shot, or the ruler icon. There's good news and bad news here. Newer Garmin watches (X40 and S20) will automatically detect your shot and set the marker, so when you head to the menu, it will already be measuring – even if you're already 100 yards down the fairway. But all too often the watch won't have registered your shot. On the Garmin Approach S6 you can press and hold the measure icon to start it manually, but there's no such feature on the likes of the Approach X40/S20, or the non-golfing specific Fenix 5. Checking the distance to the pin is the key reason to pick up a golf watch – but you don't have to limit distances to the flag. Your watch will allow you to access distances to hazards and lay-ups, both accessible from the menu. Scroll up and down to cycle from hazard to hazard, with larger obstacles such as lakes and water traps displayed with front and back yardage. All Garmin watches now have a scorecard feature. When you start your round ensure that you opt to "keep score". You can input shots and putts, which can be viewed on Garmin Connect when you return. We tend to use the excellent Hole19 for recording our rounds, but the watch scoring is quick and easy, and makes a neat back-up and interesting extra data set. Your Garmin Approach X40/S20 is capable of capturing more data than meets the eye, but you might need to head into the settings to turn on the correct settings. Scoring: Enables the option to score your round from your watch. Will also need to confirm this at the start of your round. Stat Tracking: Manual tracking of number of putts, greens in regulation, and fairways hit alongside your score entry. Club Tracking: Manually enter the club used after every shot and have driver distance logged. If you're using a Garmin golf watch and the company's TruSwing analyzer, then the two make for a formidable swing-tracking team. While using the TruSwing on its own is a bit of a faff, checking your stats on your smartphone, the data is automatically shown on new Approach watches, making it a top training partner. The touchscreen on the Approach S6 might feel a little tough to use, but it's designed to operate with your golf glove on, yet not mis-register presses while you play. No-one wants shots added onto your score. As such you'll need to press slowly and firmly on the screen to register. It's not broken. The odd quirk of Garmin Connect is that there's very little to be found in your smartphone app after the round. But fire up the desktop version at connect.garmin.com and you can start to reap the rewards. First, head to the menu and choose Golf Courses. From there you can see all the courses that you've played and the amount of rounds from each. You can then explore the course and see the holes that tend to let you down, with average scores for each hole. You can also check your virtual 'best round' score, which is always a nice feeling. The next option is to check Golf Stats. This comes from dedicated watches such as the Approach S20, X40 and S4/S6, when shot tracking is turned on. This will offer information gleaned not only from scorecards, but also the extra data you add, whether you missed left or right, hit GIR and number of putts. It's an extra dimension to your data, and interesting stuff. The Approach X40 has more than golf up its sleeve, and can also maximize it potential as a fitness band. 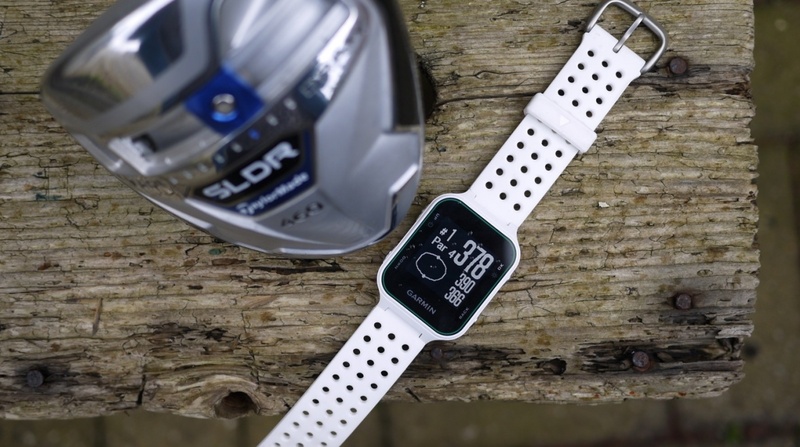 It can use the GPS to track runs and outdoor workouts, as well as golf. The data is relatively basic, but if you like a morning jog on the days you don't play golf, it can certainly do the job of a basic running watch. To enable or disable GPS with your fitness activity, select the Activity icon – the little man doing a star jump. Press the button to start and end your activity. Your data will then be synced to Garmin Connect when you're done. If you've paired your smartphone to your Approach X40 you can make it ring, when you're searching your house for a lost phone. Just head to the menu and choose the icon of the classic 1970s landline telephone with a question mark. Needless to say, your phone must be in range.